Pandrosso. 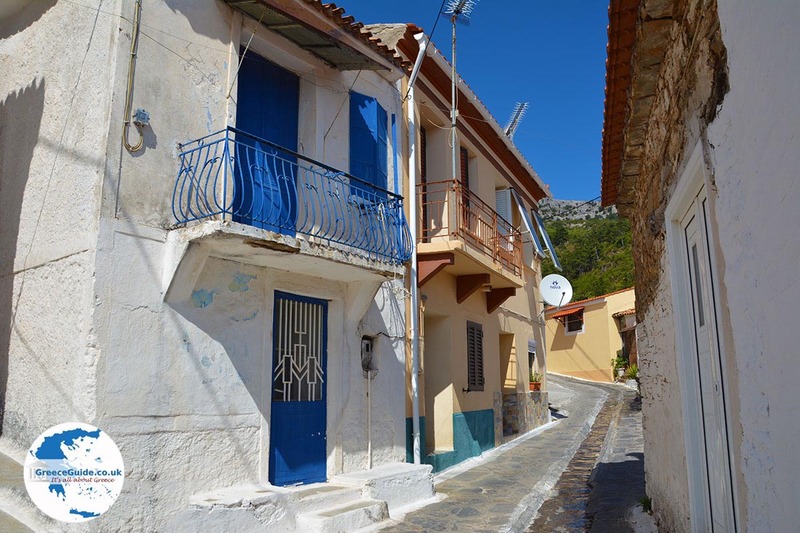 Pandrosso is a traditional mountain village on the Greek island of Samos. 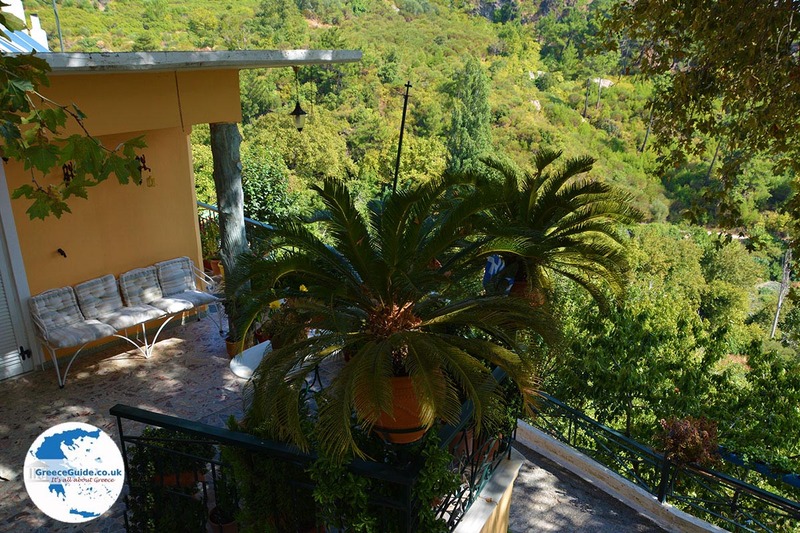 It is situated magically at 630 meters above sea level, 32 km away from Samos town It can be found on the slopes of Mount Karvounis (Ampelos) between beautiful, green mountains. 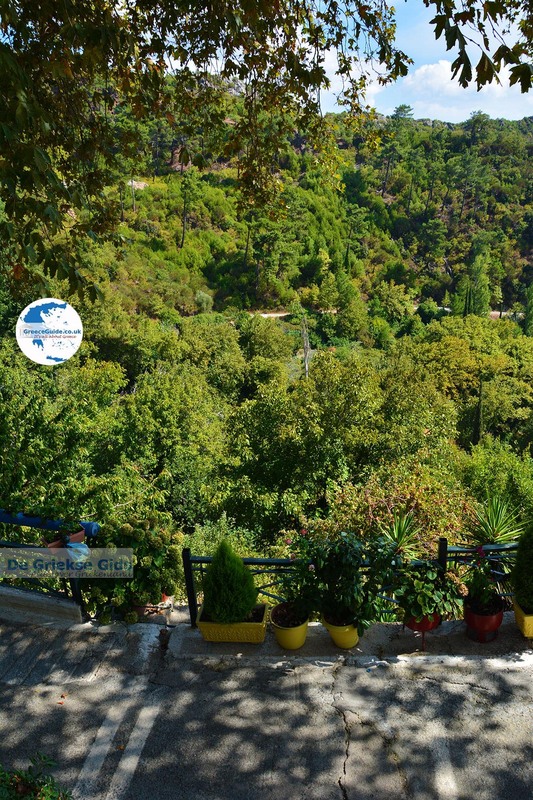 Pandrosso is a picturesque village in an area filled with pine trees. 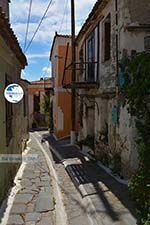 It is accessible by car through the villages of Pyrgos and Mesogio. You can park the car anywhere in the village. 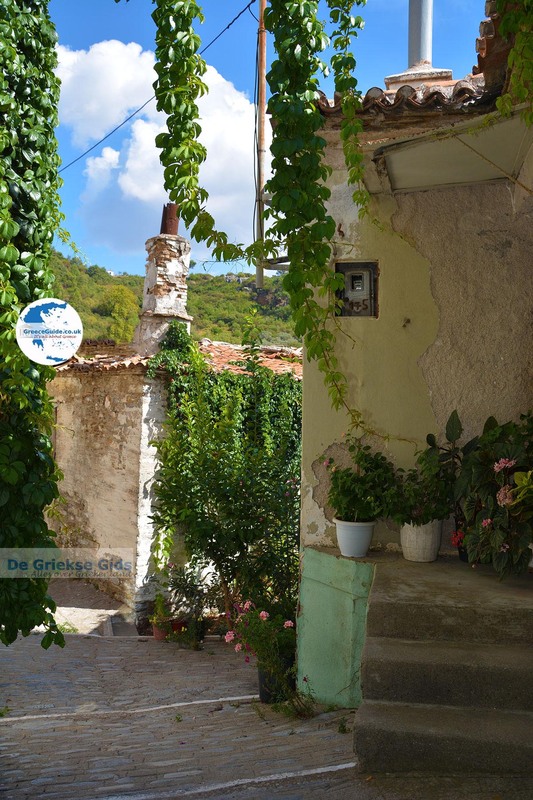 Here there are beautiful houses and narrow cobbled streets, everywhere you can see all kinds of flower pots filled with blooming flowers. 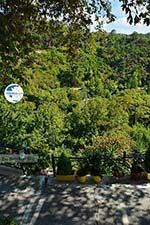 At the large church of Agios Dimitrios on the town square, is a striking large plane tree. 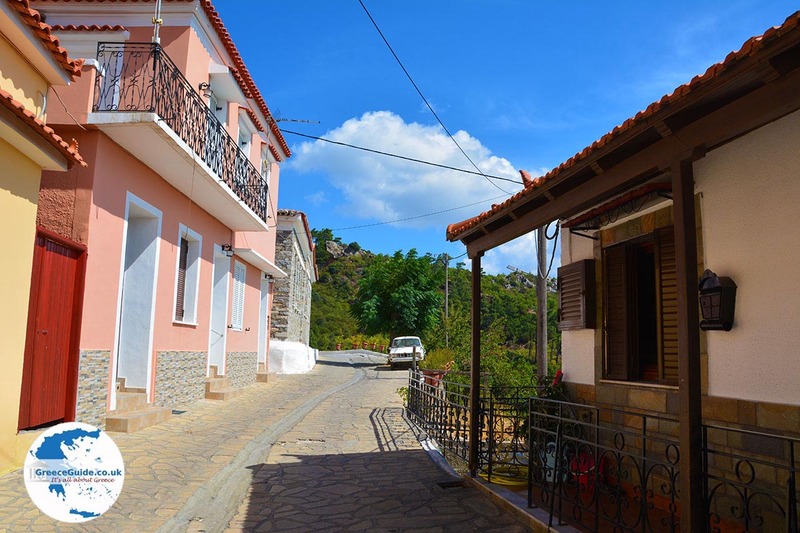 In the village there are several shops and a taverna. 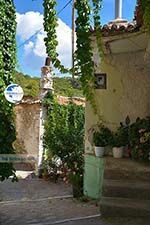 Pandrosso is popular among hikers, because you can go from here to the top of the mountain Karvounis (Profitis Ilias) and then walk north, to the villages of Manolates and Vourliotes. There are signs indicating the mountain path. 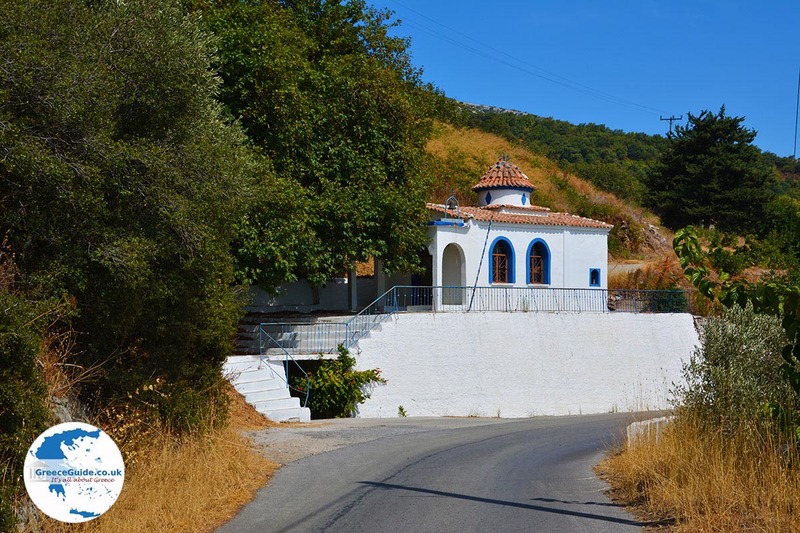 Every year two feasts are held here; a celebration on July the 20th, the feast of Profitis Ilias and the other celebration is on October 26th, the feast of Agios Dimitrios. 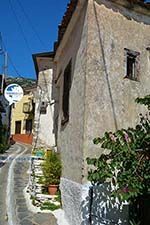 The village of Mesogio. Mesogio is also a picturesque village, it is located one kilometre before Pandrosso. Again, it is nice to walk through and experience the lovely village atmosphere. 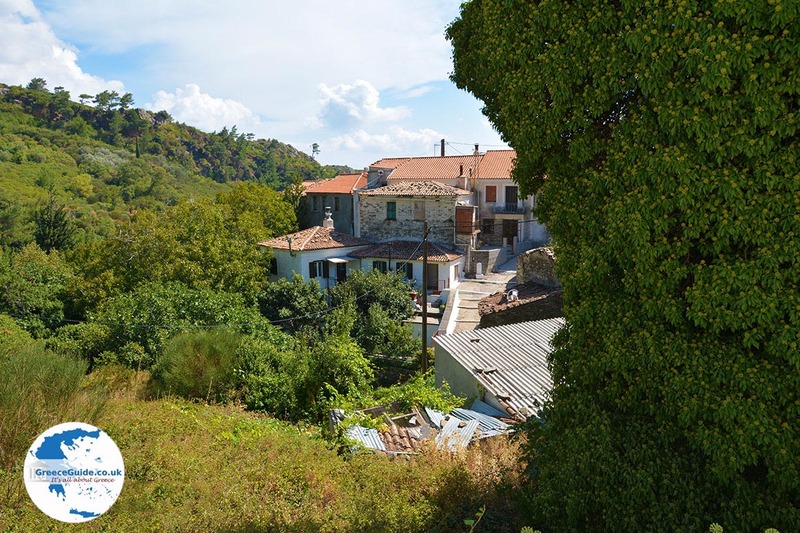 The village has an ethnographic museum and a taverna. 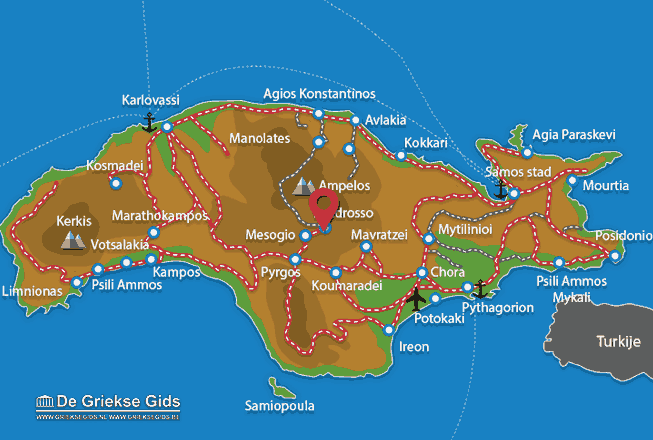 Samos: Where on the map is Pandrosso located?